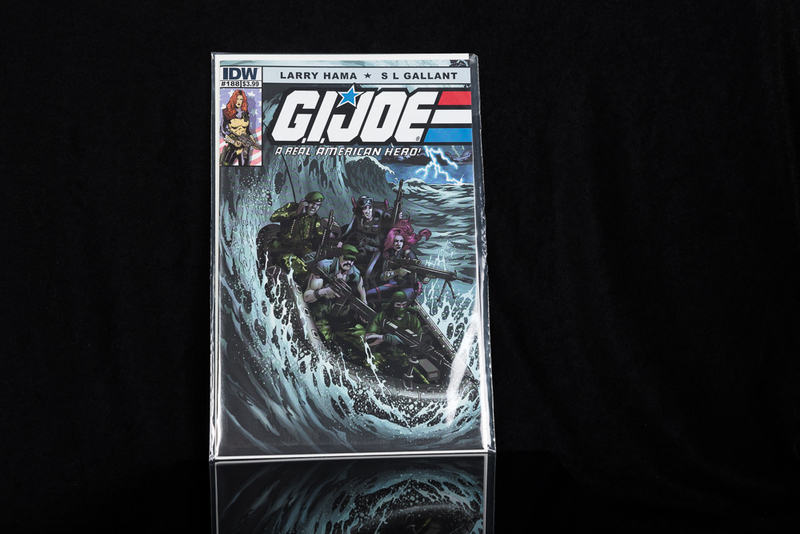 The joes are sent to rescue hostages taken aboard an oil survey ship called the Aden Explorer. President Ngoto is brought along to negotiate with the pirates. The pirates are led by Abdi Ali who has joined forces with the Red Shadows. The Black Major soon takes command when the Joes board the ship. The battle continues as Duke, Cutter, and Shipwreck head to the Aden Explorer to assist the Joes on the ship and in the air. Meanwhile the Black Major continues his assault with Dr Burkhart and Ali as hostages on the bridge of the Aden Alexander. 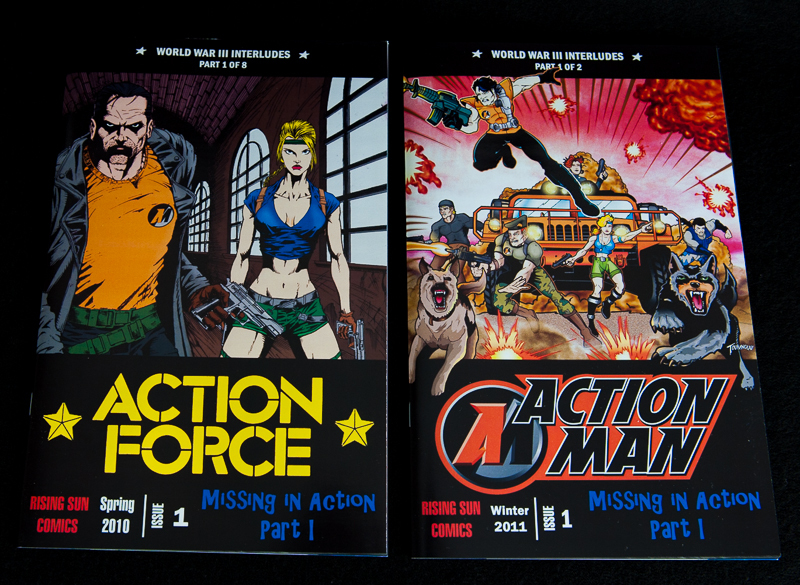 Action Man Annual in very good condition. 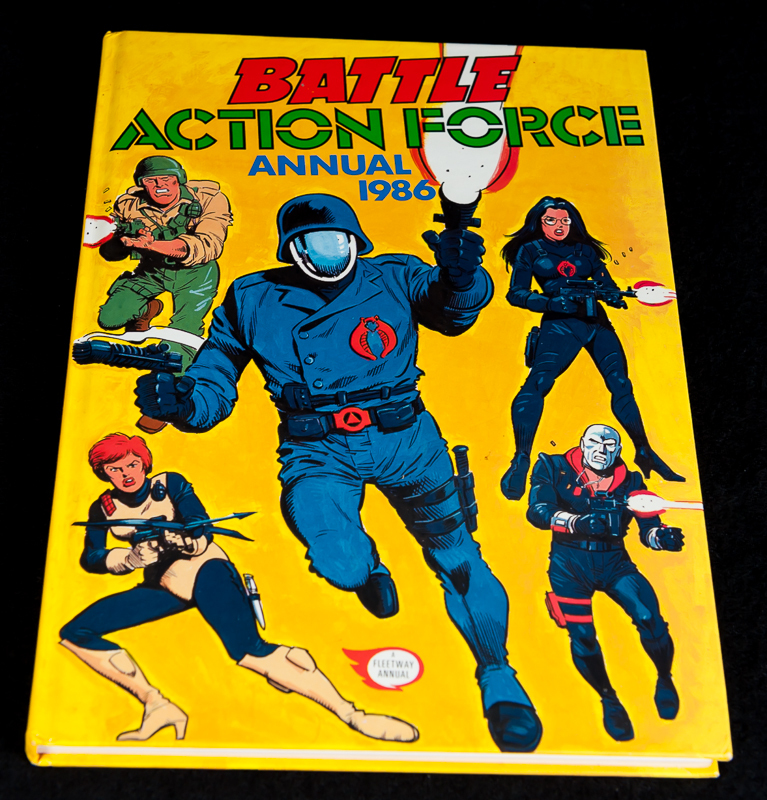 Battle Action Force Comic - 8th October 1983 in good condition. 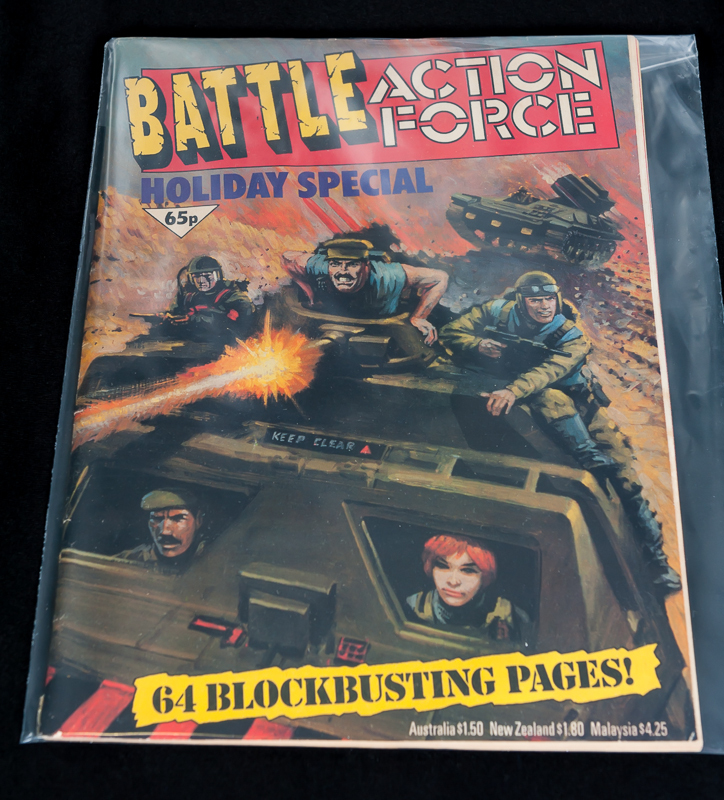 Battle Action Force Comic - 7th January 1984 in good condition. 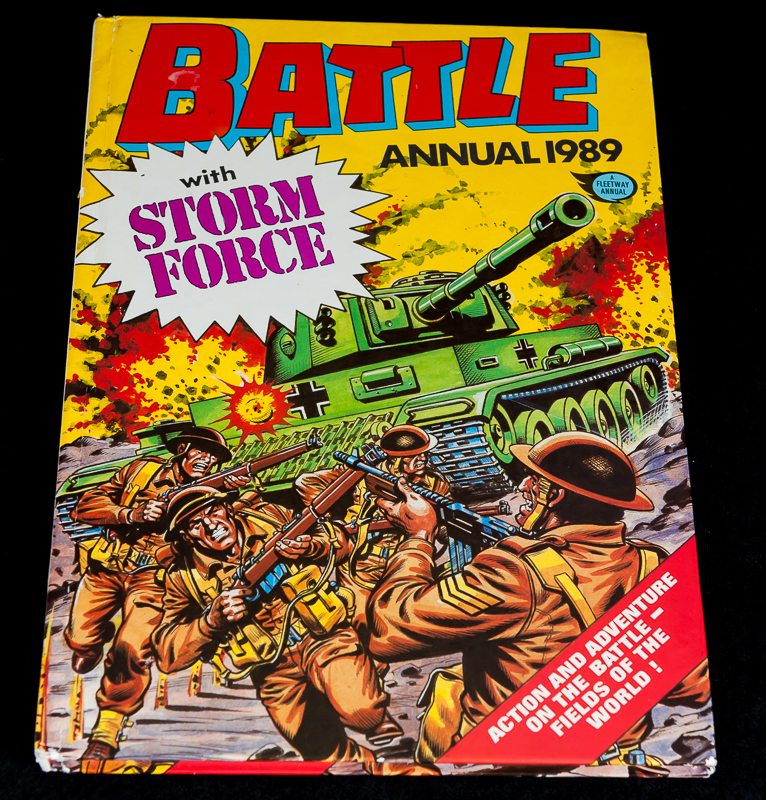 Battle Annual from 1989 in very good condition. 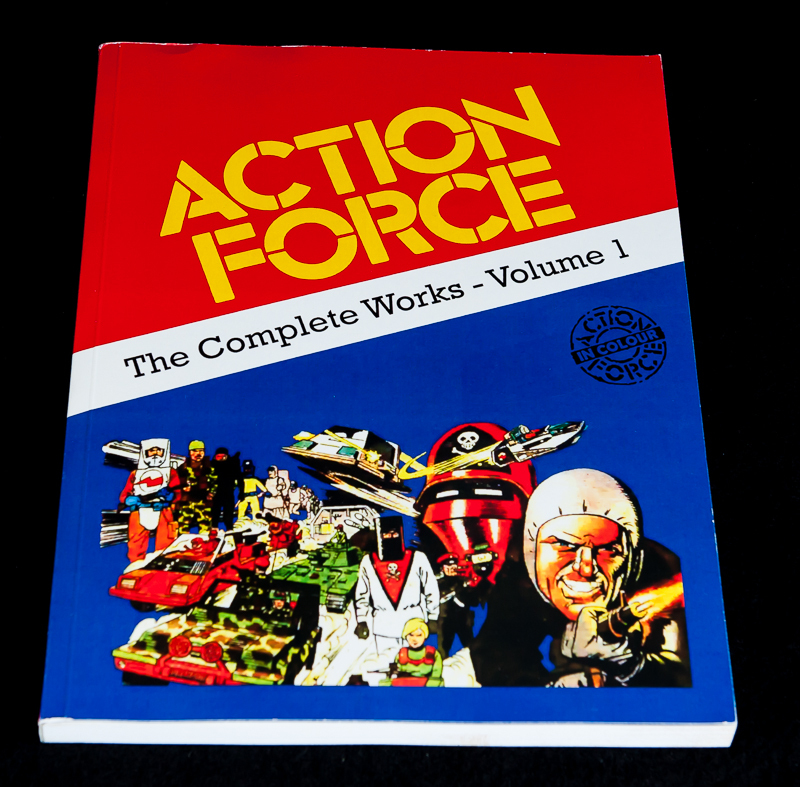 Action Force The Complete Works Volume 1 - 240 page Selection of full comic strips republished in full colour. 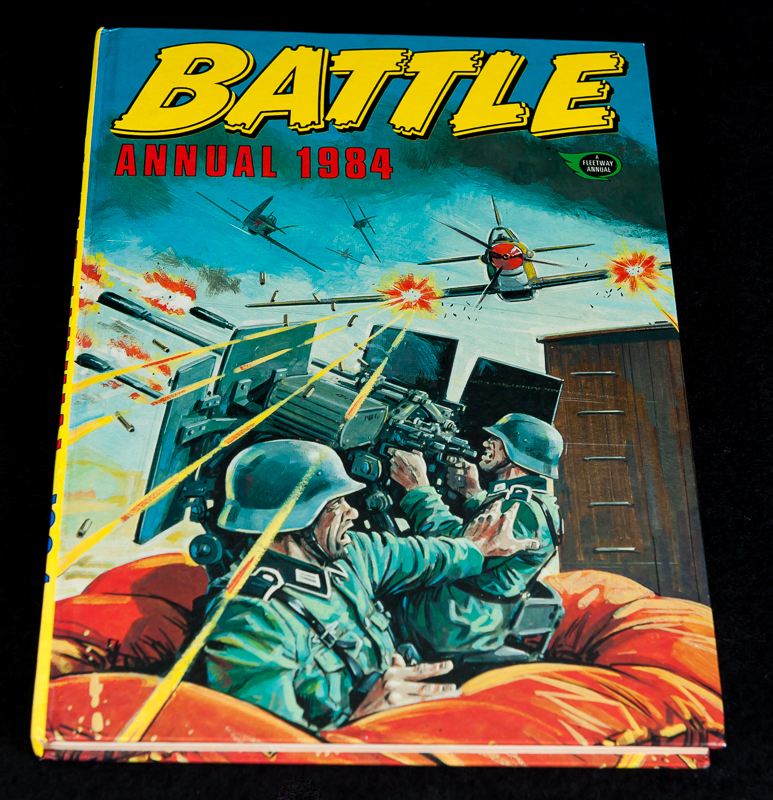 Battle Annual from 1984 in very good condition. 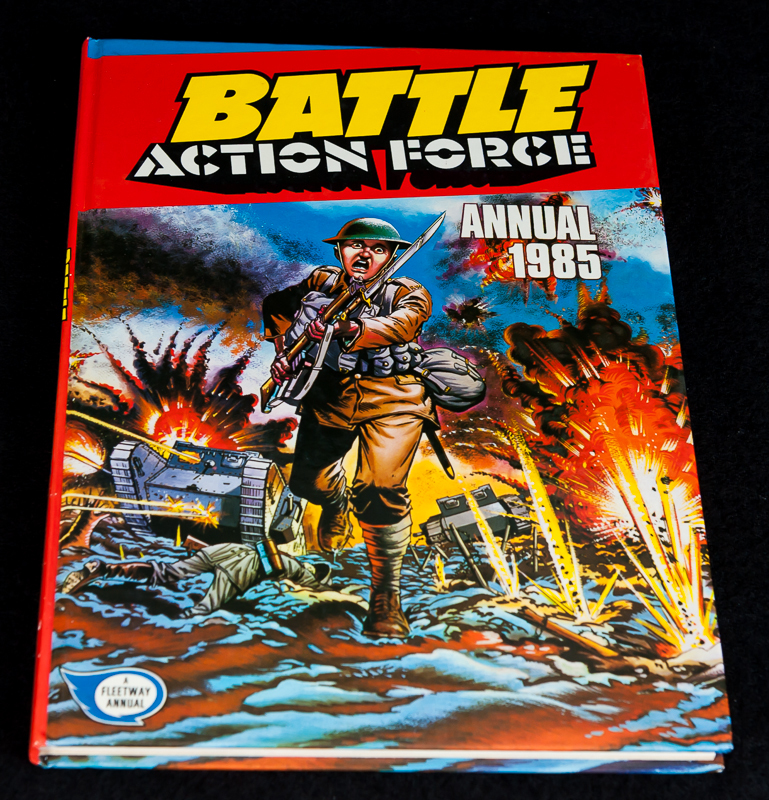 Battle Action Force Annual from 1985 in very good condition. 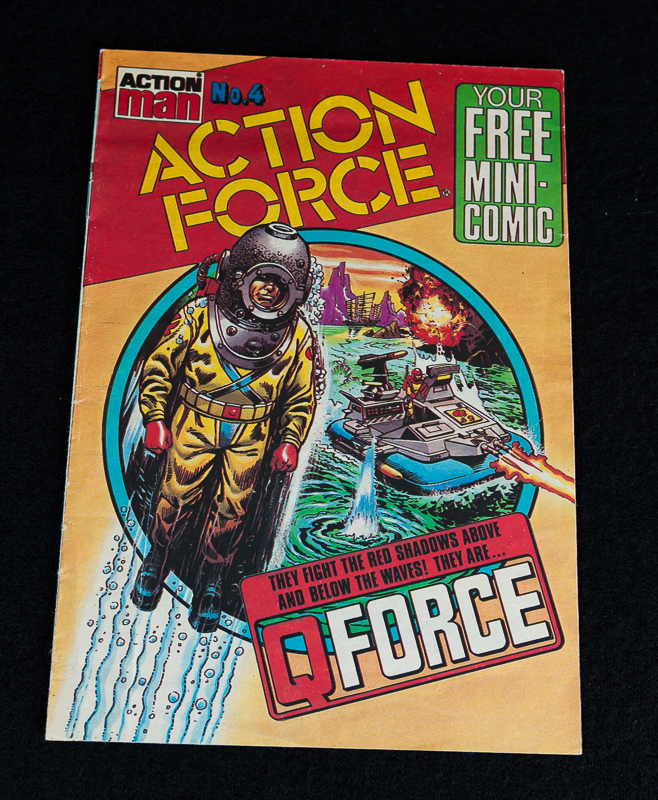 Action Force Annual from 1986 in very good condition. 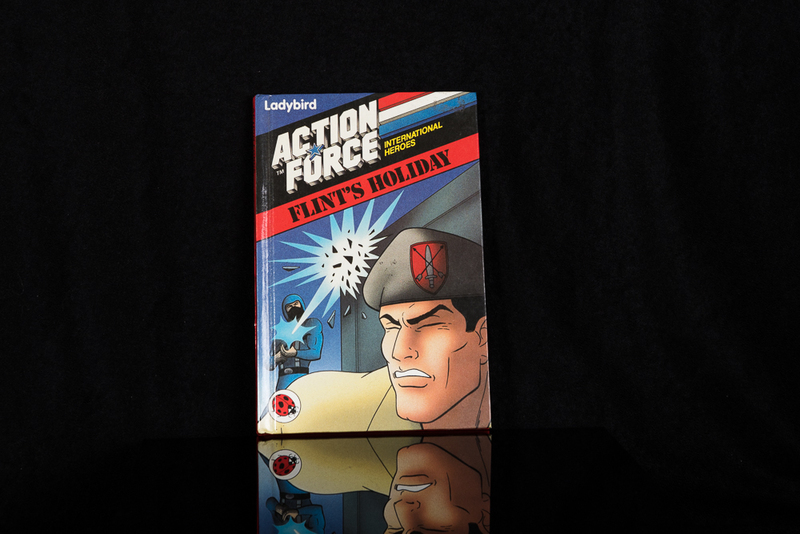 Battle Action Force Comic - Holiday Special in good condition. 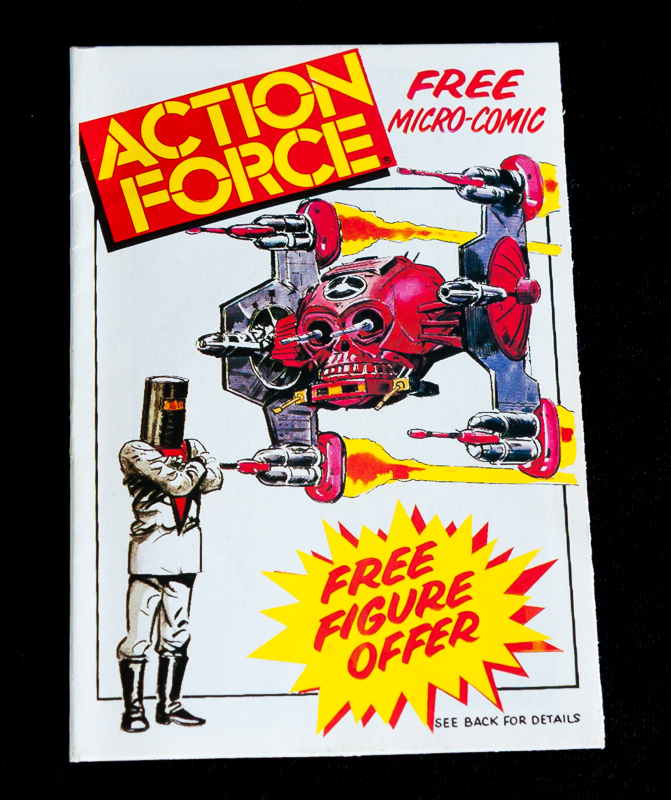 This Micro Comic came with some of the Action Force Vehicles. 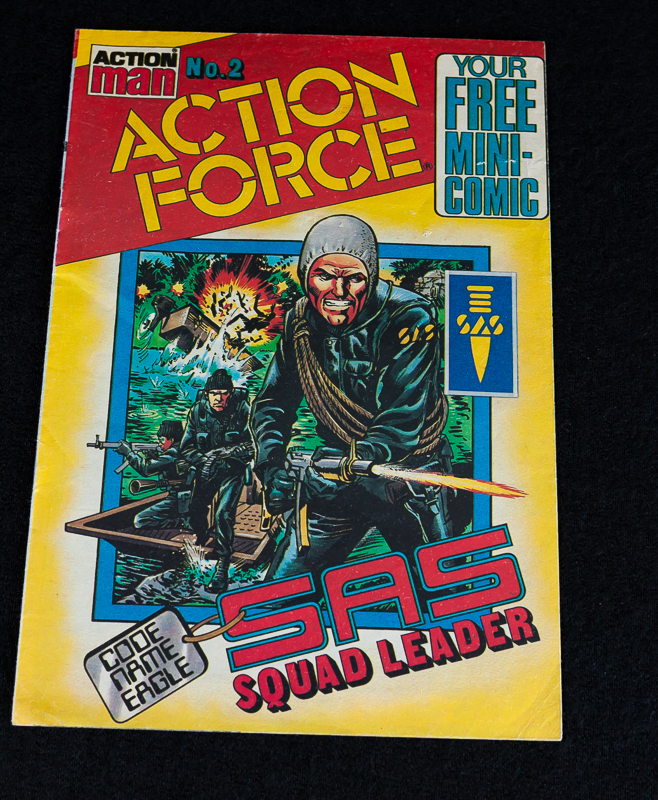 These comics were from the Action Force Palitoy era in the 1980's and feature TheEnemy -The Red Shadows, SAS, Z Force, Q Force & Space Force. 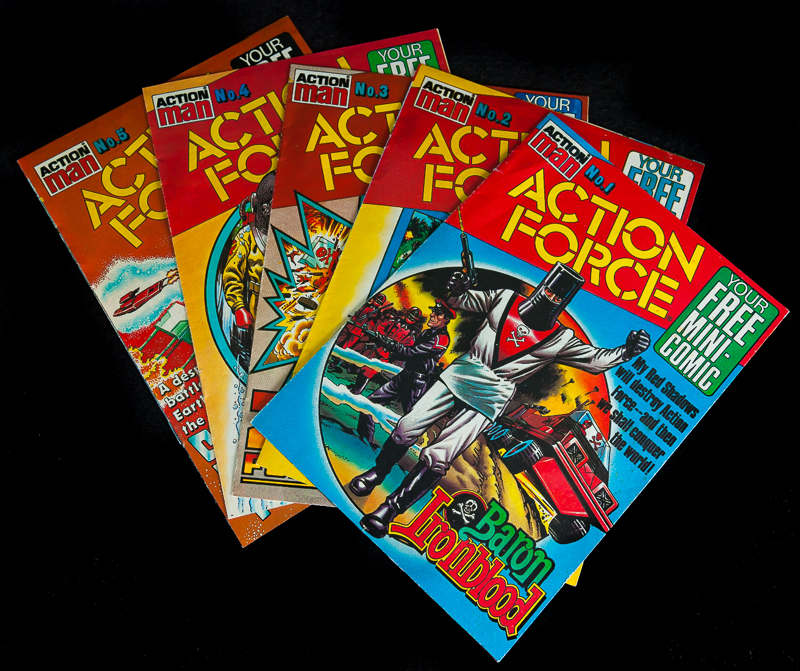 These are in very good condition and is a complete set of 5 issues. 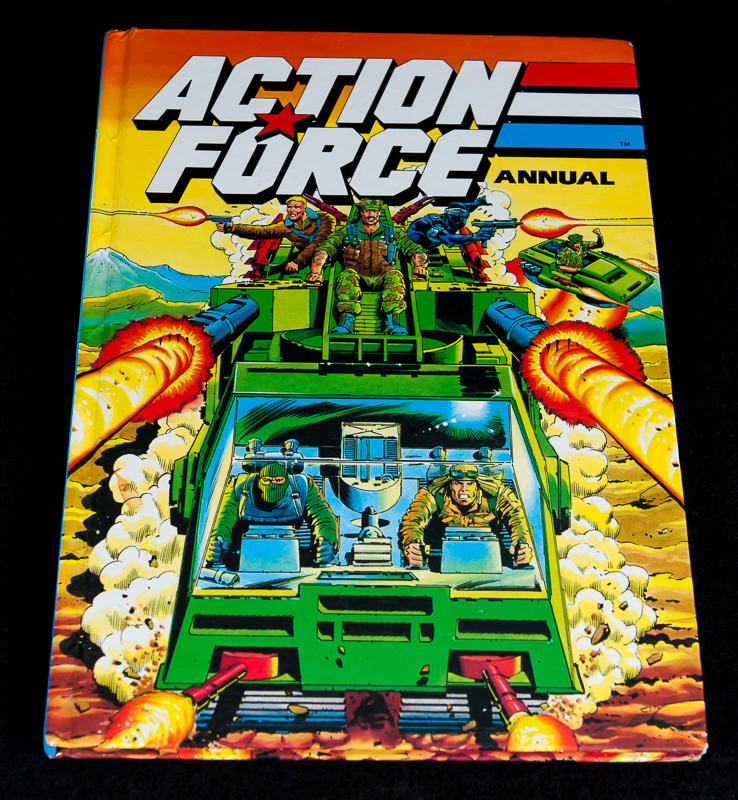 Action Force Annual 1989 in good condition, on the first contents page a square section has been cut out possibly an offer or small picture. 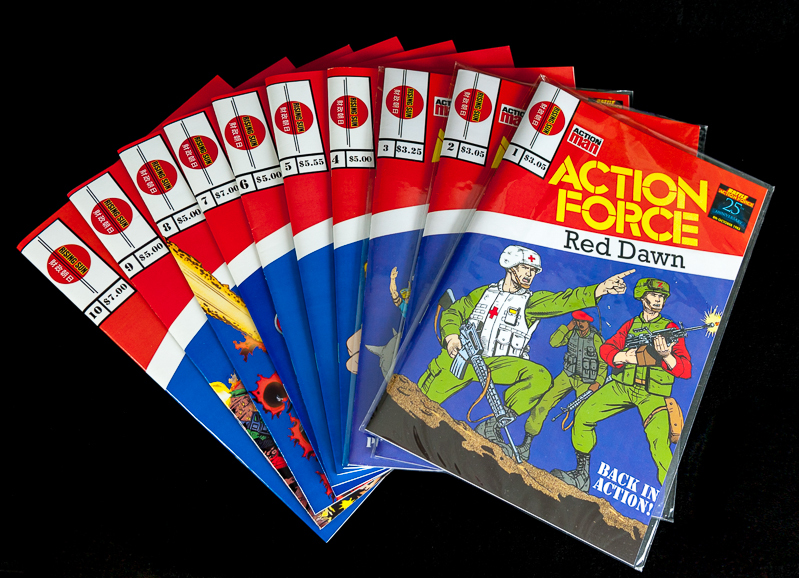 Action Force Red Dawn was a series of comics which ran for 10 issues between 2008-2010 and was published by Rising Sun Comics. Red Dawn brings back the original Action Force characters from Battle Action Force in the 80's. 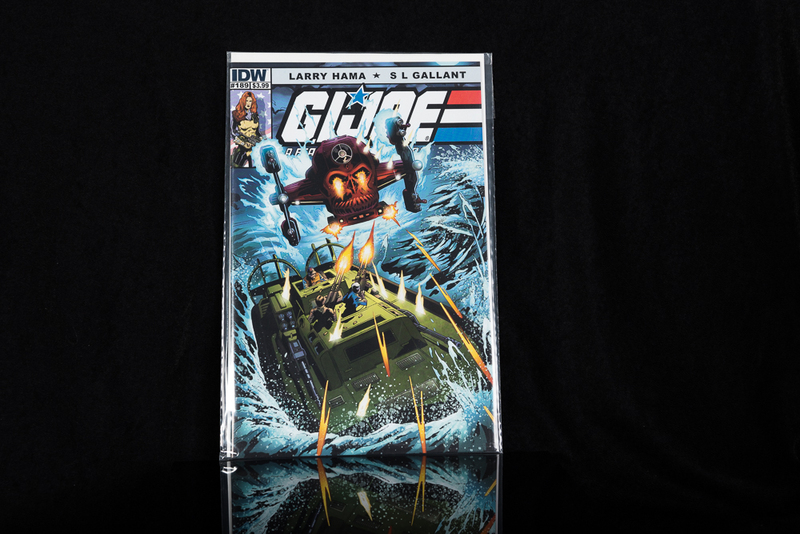 Released in 2011 these comics were a 2 part issue available with two covers.